We’ve seen some leaked images of the Nokia Ace, which is reportedly coming to AT&T sometime early next year. With CES starting next week, we suspect it will be the coming out party for Windows Phone and Nokia. A report from BetaNews claims that sources close to the situation indicate that the Nokia Ace will receive a big time marketing push, to the tune of $100 million dollars. The intent is to make the Nokia Ace the hero phone that Windows Phone has so desperately needed. This should translate to a campaign less devoted to a line of phones, but rather one single phone to rule them all. We’ve gone on record several times about the lack of impact marketing needed for Windows Phone to jump back into the smartphone race. You cannot gain traction on juggernauts like Android and iPhone without a major splash and a flagship phone. Plenty of tech journalists have opined about the beauty of Windows Phone and how it trumps the Android experience. That has not translated to sales. Wireless reps and carriers aren’t necessarily interested in selling the best. They are interested in selling, period. Android is known commodity. They have had success investing in big campaigns and hero phones for the Android platform. For some reason, they have been reluctant to provide Windows Phone with that same hero status. Thankfully, that’s about to change with the Nokia Ace. 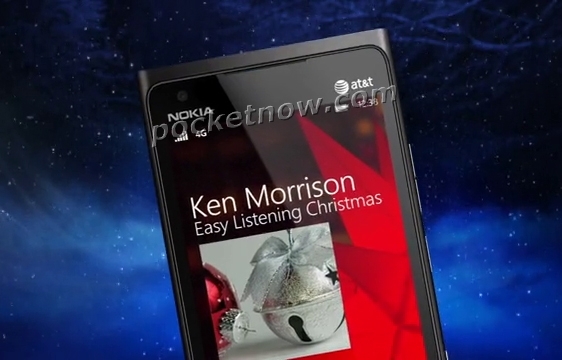 A flagship Windows Phone, backed by a huge marketing campaign. Long overdue, but exactly what Microsoft needs to get back in the game.